Nyren's Corner: What Do You Want the Future of Pokemon to Look Like? Author’s Note: This article/discussion is about more than just graphics. It’s also about gameplay and other assorted things. So don’t misunderstand the title. I decided to write another article centered around the new rumor that a mainline Pokemon title, specifically the combined version of Sun and Moon, will be coming to the Nintendo Switch. It’s reported to have higher quality assets while everything else remains the same. And that’s all well and fine because this technically still the same game as Sun and Moon. But what about the Pokemon game that comes after that? The game that wasn’t based off of a 3DS game from the beginning and is designed to utilize the Nintendo Switch to its fullest? That is what this discussion is about. I want all of you, in the comments below, to tell me what you hope the next Pokemon mainline game will be like. The sky is the limit because the Switch is a beast compared to the 3DS and even the Vita with power sitting somewhere between Wii U and Xbox One. Personally speaking, I have three dream ideas for the next generation of Pokemon and I’m gonna lay out all three of them. 1) Pokemon Heads to the Next Generation! So, this is my dream Pokemon game with the least amount of changes to the core gameplay. Battles would remain the same as they always have, but exploration would be on an entirely new level. With vastly more powerful hardware, so much more becomes possible. From higher quality models to larger worlds. No more top down view, now you’ve got a normal third person camera trailing your fully customizable Pokemon trainer and before you is a vast world teeming with Pokemon just waiting to be found and scattered throughout are small towns and large cities. It’s got everything it needs to compete with the large console RPG’s. Up until now, everything has been more or less miniaturized because they were dealing with the power of previous handheld systems, which wasn’t much. But now they have the Switch, and these worlds can be fully realized and made to scale with high fidelity. Visually speaking, I don’t really care if it’s realistic looking or cel-shaded like The Legend of Zelda: Breath of the Wild. Both are great art styles and Pokken Tournament proved that Pokemon can still look great with something more photo-realistic. 2) From Turn-Based to Action! This is my second dream Pokemon game and it’s sort of a fusion of Pokken Tournament and the mainline Pokemon titles. An ARPG set in the Pokemon universe. Of course, it wouldn’t use fighting game mechanics like Pokken Tournament. That isn’t Pokemon. But Pokken Tournament did have the fast-paced action of the anime that is honestly what real Pokemon battles would probably be like. It was like a dream come true, but only if it had the tactical depth of a regular Pokemon game. So I thought about it. Your traditional moves like Reflect, Hyper Beam, Water Shuriken, Leech Seed, etc. would be mapped to the D-Pad. Simply select four moves and set each one to a direction the D-Pad. 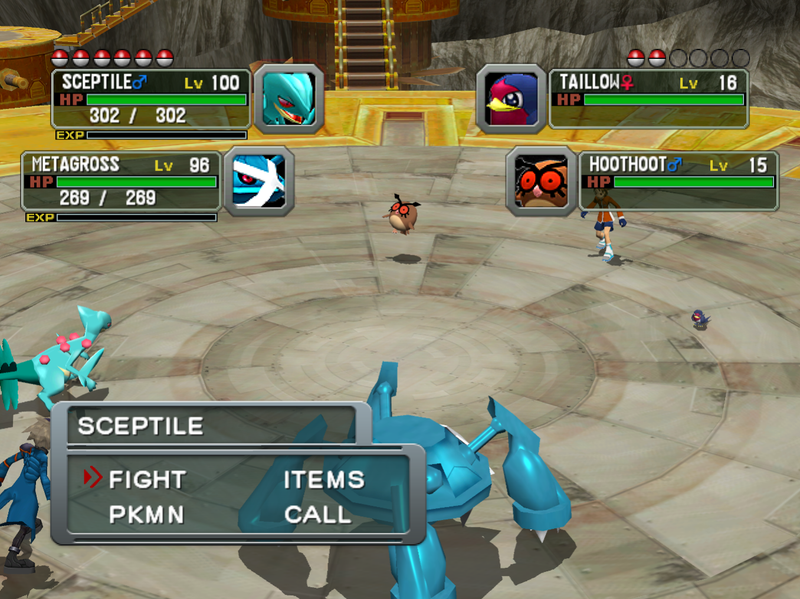 In the middle of battle you simply select the move you want to use by click that directional button. Movement is mapped to the left analog stick and the camera is controlled by the right stick. Normal, physical attacks are mapped to the face buttons. The item menu and grab button would be assigned to the bumpers, you could swap your Pokemon out at any time during the battle by hitting what passes for the select button, and Mega Evolution would be mapped to one of the triggers(I’m not familiar with Sun and Moons new stuff yet so if it has something else that requires it’s own input, then that could go on the opposite trigger.). Type advantages/disadvantages, stats, slow & fast, everything is still intact, simply reworked to accommodate the new gameplay style. It isn’t impossible, but I understand that it would be a radical shift from the previous games in the mainline series and that would be off-putting to many. The odds of it happening are slim to none of course, but I ask that you at least humor me here. Ever since I was a kid I wished that the games were more like the anime, and that is what spawned this particular idea. Pokken Tournament already showed what a fast-paced Pokemon game could be like, albeit as a fighter and not an RPG. ARPG’s can be just as deep and require as much thinking as a TB-RPG, the only core difference is that you can’t just sit for ten minutes and think a move over like chess or checkers, you have to think on the move and react accordingly to stay in the fight. And then merge that with the Pokemon formula. Graphically speaking same as above. I don’t really care if it has the same cel-shaded style as Breath of the Wild, a more photo-realistic style, or a combination of the two. As much as I love being able to see Lucario’s fur, Pokemon is a game targeted more towards kids(Even if the majority of the fanbase is teenage or older because screw target demographics.) and kids love colorful games. So kill two birds with one stone, make it colorful, but not like a cartoon. X & Y, OR & AS, Sun & Moon, they’ve all looked more like a cartoon, whereas Breath of the Wild is vastly more detailed, but still colorful and still lends itself to a goofier style. And of course the game world would be the same as above because really that is the only way to go with that. Plain and simple. And those are the two ways I would love to see Pokemon go in the future. It won’t happen with the rumored Sun and Moon Switch version, but I’m hoping they go all out for the game after that.